GERMANTOWN, Wis. – (Feb. 16, 2018) – Seven Marine today unveiled its Seven Outboard Portfolio in a press conference at the Miami International Boat Show, including two brand new models, running at 527 and 577hp, and a redesigned and enhanced 627hp model. 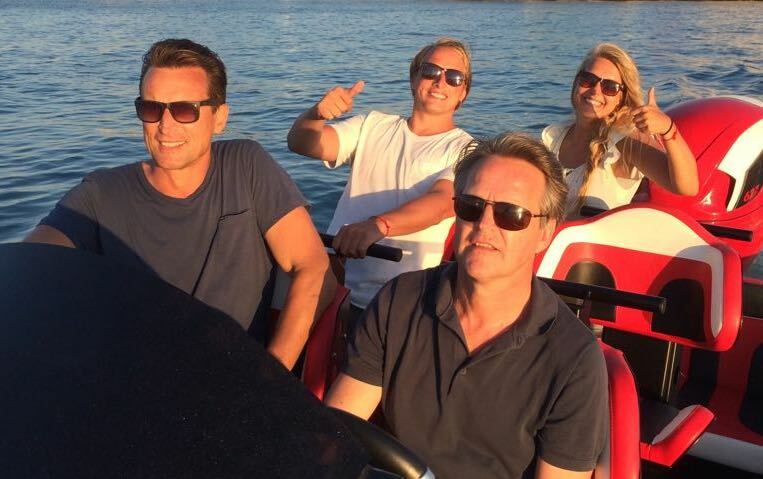 Amidst a growing market interest in high-power outboards for larger boats, this innovative portfolio provides more accessibility to the Seven experience through a broader range of horsepower options – all without compromising the luxury performance features synonymous of the brand. 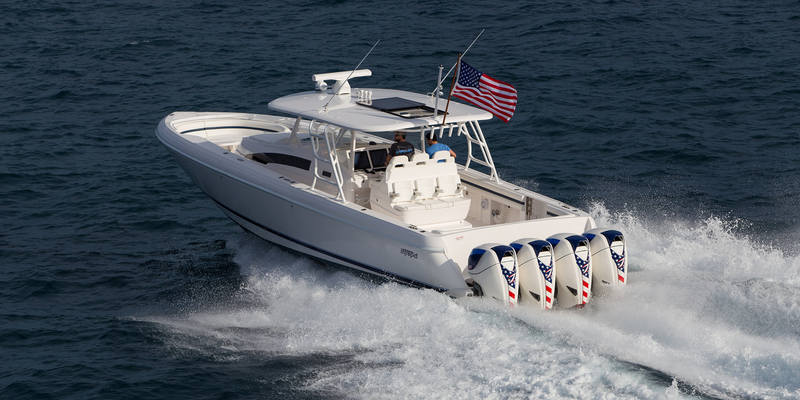 The new 527 is an attainable high-horsepower outboard featuring an all-new 1.91:1 gear ratio option, which transmits big torque into high thrust to propel big boats. 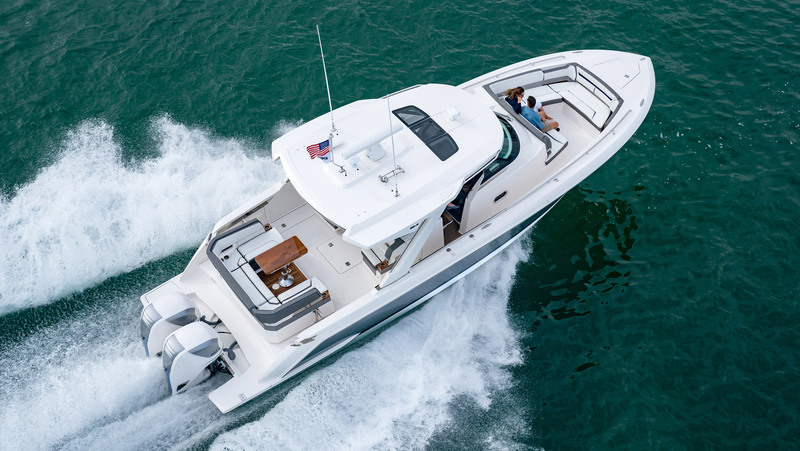 “The 527 may be our most refined outboard to date, purposely engineered to make the Seven experience an attainable dream.” The new 577s is a luxury higher-horsepower outboard. Its Spectra-Lite lighting package provides full-spectrum LED lighting on the rear of the motor. “The 577s’ new cowl design is styled to stir emotion and provide personalized expression, while maximizing airflow and minimizing noise,” said Davis. The existing 557 Seven engine is being phased out and will be replaced by the all-new 527 and 577s models, providing the ability to offer the tailored Seven outboard experience to a greater range of customers. The CR is offered as one of three options, along with the standard single-prop twin-pinion and the GT high-speed gearcases. “The standard single-prop unit is for speeds from 60 to 85 mph, and the twin-prop unit is for heavier boats running less than 60 mph,” said Davis. Seven also introduced an extended warranty plan at the Miami show. “With the advancements to our outboard portfolio, we are also offering confidence and peace of mind to customers with a new optional two-year limited warranty extension on top of our standard three year warranty,” said Davis. European customers can soon benefit from the Seven experience. Certification for the European Union CE standard is being finalized and will be available in time for the European spring shipments. With our expanded portfolio, customers in the market for big outboards will have the ultimate solution, which no other outboard manufacturer can match. Visit the Seven booth F302 in the Engine Tent at the Miami International Boat Show to see the new Seven Outboard Portfolio.